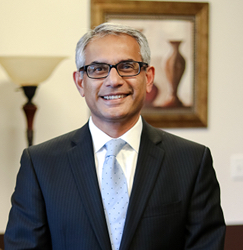 Dr. Shafi currently serves as the CEO of a large surgical practice in Dallas, TX. He has two decades of post-residency experince in General Surgery, Trauma Surgery and Surgical Critical Care. He has provided surgical care to thousands of patients using open and minimally invasive techniques. He has published over 100 papers in peer-reviewed medical journals and is considered an expert in measuring and reporting quality of surgical care. He has served inleadership roles in multiple surgical socieites.